At IFA 2018, LG is showing off a pair of desirable new computer gaming monitors under a completely new sub-brand. 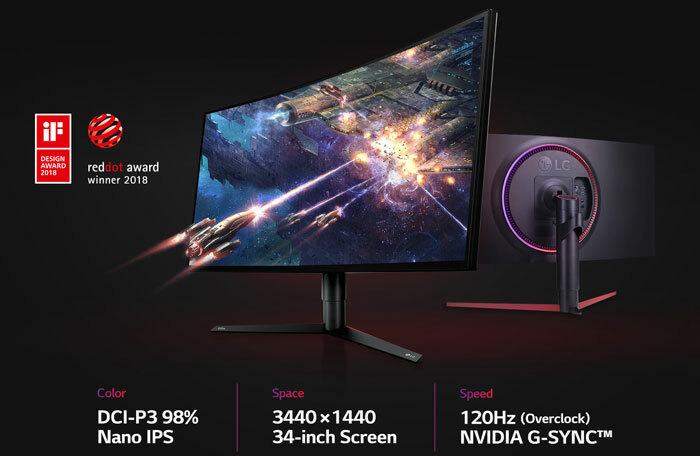 The new LG 34GK950G and LG 34GK950F are very similar specced monitors forming the new LG UltraGear range, supporting G-Sync and FreeSync variable frame rate technologies, respectively. Key attractions of these 34-inch monitors are the 34-inch ultra-wide Nano IPS displays with 3440 x 1440 pixels, with great colour accuracy and fast max refresh rates. 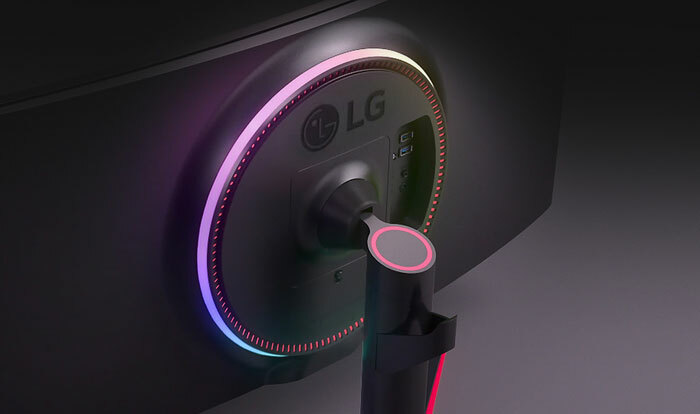 Tim Alessi, head of home entertainment product marketing at LG Electronics USA was very excited to announce these new monitors at IFA and said that the LG UltraGear brand would set standards for the industry. As mentioned in the intro, these two monitors, aimed at Nvidia and AMD GPU users respectively, share many key specs but vary in others. What better way to give an overview of the similarities and differences than a table? I've cobbled one together below. 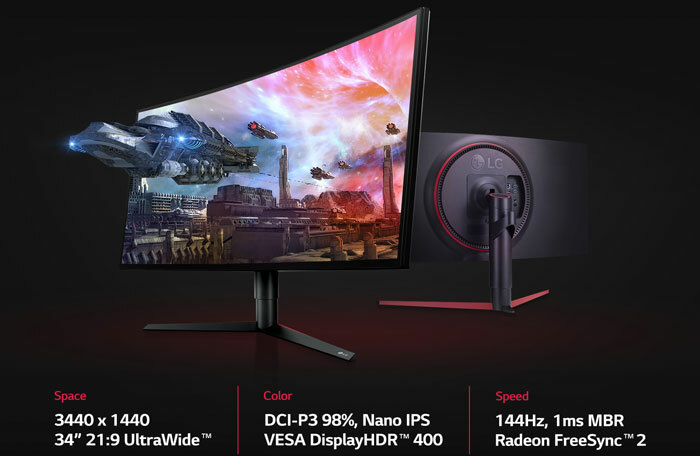 You will see that major differences in the VRR tech and refresh rates achievable but there are other things too, such as the VESA DisplayHDR 400 certification and the 1ms MBR of the Radeon-friendly display. Beyond the above, there are specs that are unlisted at the current time, such as the lower limits of the variable refresh rates, the screen curvature, and contrast ratio data. Considering the gaming modes, these monitors offer two dedicated FPS modes and an RTS preset. There is also a black stabiliser function, plus optional crosshair. At the time of writing we don't have any pricing or availability data to share. Another LG product previewed at IFA 2018, which may be of interest to HEXUS readers, was the world's first 88-inch 8K (7680 x 4320) OLED TV. 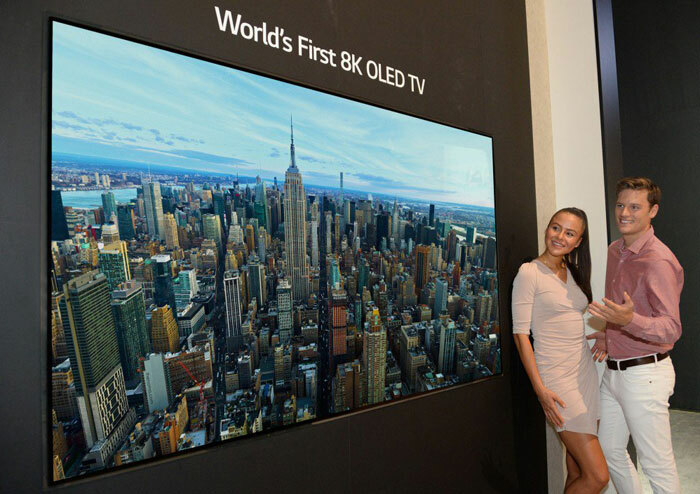 "LG's first 8K OLED TV is the pinnacle of technological achievement and the next evolutionary step in display technology," claimed Brian Kwon, president of LG Home Entertainment. So the g-sync version, what do we reckon the price will be? £1500? No price and no availability date… Not really a launch then! These have been displayed at shows for over 6 months now, but no sign of availability.